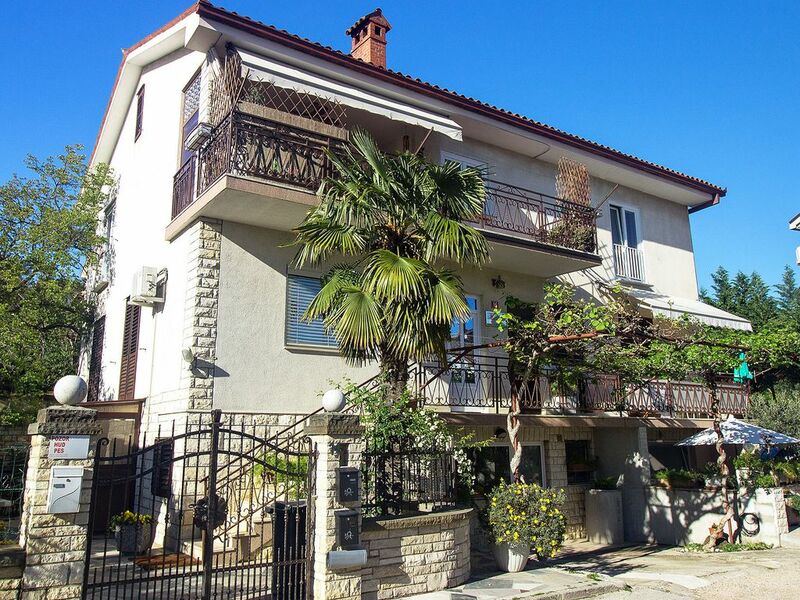 Located in a quiet street, 1,5 km from the center of Portoroz this family house offers a cozy firendly athmosphere and a great deal of privacy away from crowds. This apartment is situated on the ground floor and features a double bedroom, a fully equipped kitchen (microwave, dishwasher, freezer, oven, coffee maker) with an exstensible sofa bed (for two persons), bathroom with a shower and a hairdryer and a nice terrace with garden furniture. It also features air-condition (for a surcharge), a free Wi-Fi internet access and a sattelite TV. One of the greatest features of the property is a lush mediterranean garden providing plenty of shades and intimate cornes where one can relax after returning from the beach. There is also an outdoor kitchen with stone grill and a dining area. You can have a cold drink while enjoying a wooden deckchair under an olive tree or read you favourite book in a peaceful pavillion. The housekeeper takes an excellent care of her garden and the guests are welcome to pick freshly grown vegetables only a step away from the kitchen. Portoroz with its sandy beaches, restaurants, bars and shops is only a 10-minute drive away. Natural park with world famous salt pants is less than 5 km away. Rustige ligging in doodlopende straat, op 1 km van het strand.